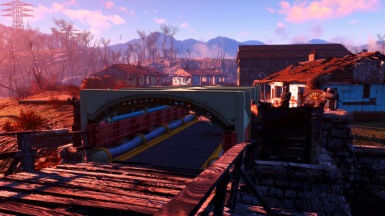 I'm not entirely sure if this unlocks at end of questline or not, But basically, this unlocks all the Vault 88 structures in the workshopmenu to be built in any settlement you like. Obviously Requires the Vault Workshop DLC. EDIT: Yes I now know these unlock once you finish the questline, and you can "speedrun" it in 20 minutes, think of it as a mod for the people that just want it right of the bat, don't like speedrunning, and occasionally create new characters alot, but want access to those structures. I made the mod for myself, I just thought some other people might like it too.